Airports and train stations are always swarming with activity, full of people coming and going for work or their next grand adventure. Make sure your transportation facility can withstand the flow of travelers with strong and durable commercial flooring. Because transportation centers are places for people on the go, it's important that the flooring is durable, easy to clean, and looks great for years to come. Travelers are often eating and drinking while traveling and rushing to catch their plane or train on time. Spills happen, you need flooring correct flooring to withstand the tests of time. Intex Flooring works with you to help you choose the right type of flooring. From start to finish, we assist you with your selection and provide professional installation that will leave your transportation facility looking beautiful. Need flooring for your transportation facility? 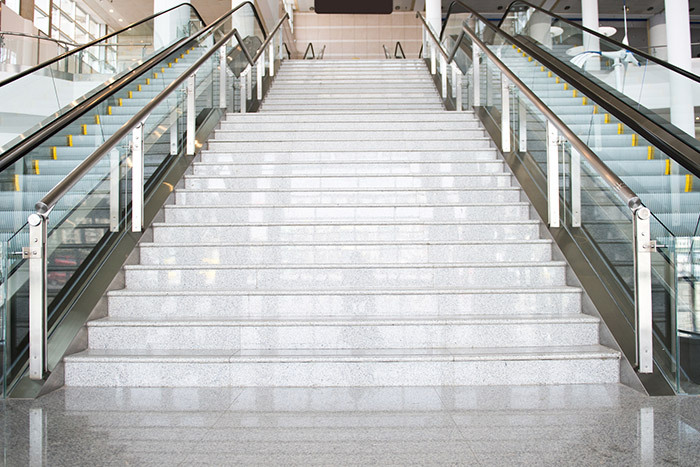 Get strong and long-lasting commercial flooring that stands up to floods of travelers. Reach out to Intex to learn more about your options today.